Apple TV 4K makes your favorite TV shows and movies even more amazing. Videos play in stunning detail with picture quality that’s more true to life. 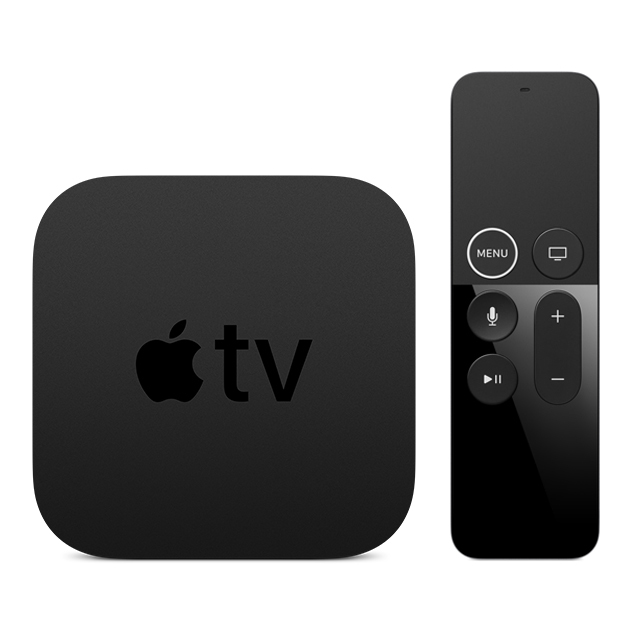 Enjoy content from iTunes and apps like Amazon Prime Video, Hulu, ESPN, and Netflix — or use the Siri Remote to find just what you want. You can even share photos you take on your iPhone on the big screen. 4K HDR is here. And it’s brilliant.